I wanted to stop by and show everybody a cute little card I made for a cute little girl. The stamp is from Adam Pescott and Cardmaking and Paper craft magazine. When you subscribe they send a little gift. (Love that!) I think the papers that I used are also from a gift from a different issue. I used Copic Markers to color the kitty image. 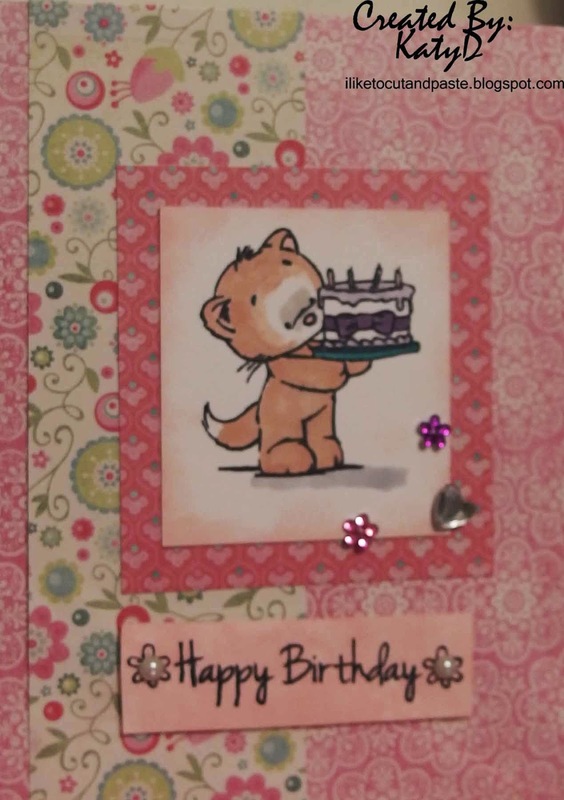 aww what a cute card.. love that image..
Sooooooo cute! LOVING that image!!!!! Such a sweet card! Love that kitty and your paper choices! !